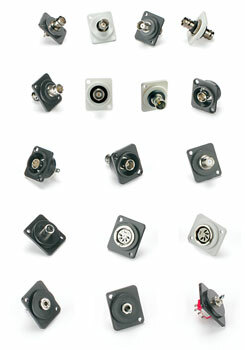 A range of connectors and switches mounted on insulating mouldings which fit the Neutrik ‘D’ series cut-out. 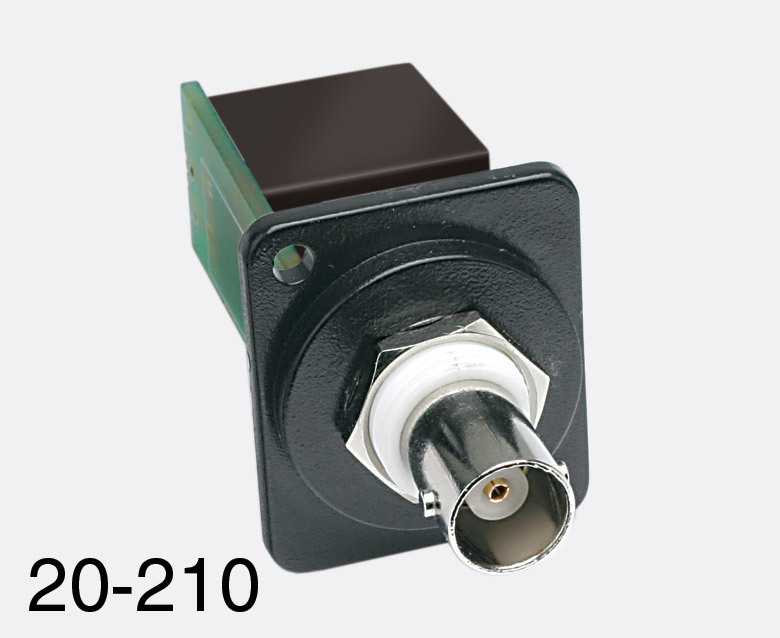 Suitable for use with Canford Universal Connection Panels, connector plates, stageboxes or any application where a ‘D’ series cut-out is available and a non-’D’ housing connector (subject to size) must be fitted. 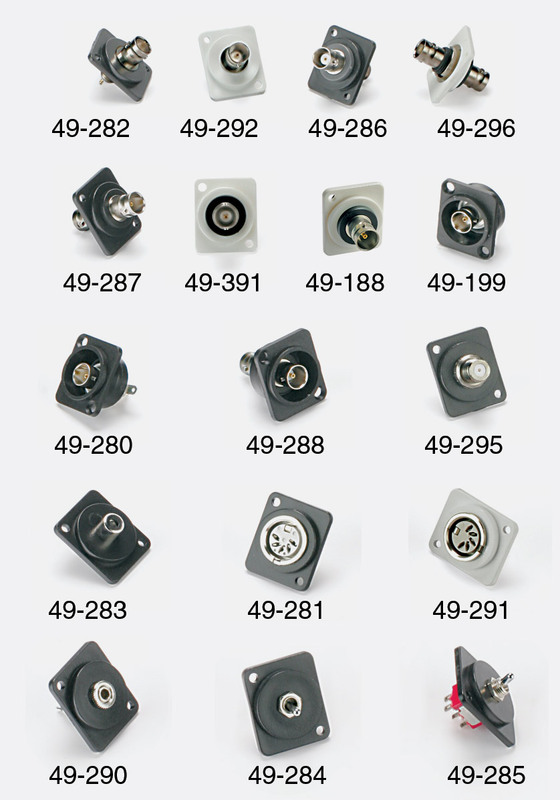 Flush mounting types are available with Black, White or Dawn Grey plates, pre-fitted with a variety of connectors and switches. The white versions are well matched to connector plates used with electrical flush or surface mount boxes but care must be taken not to exceed the rear cable minimum bend radius, particularly with double sided BNC and F types. 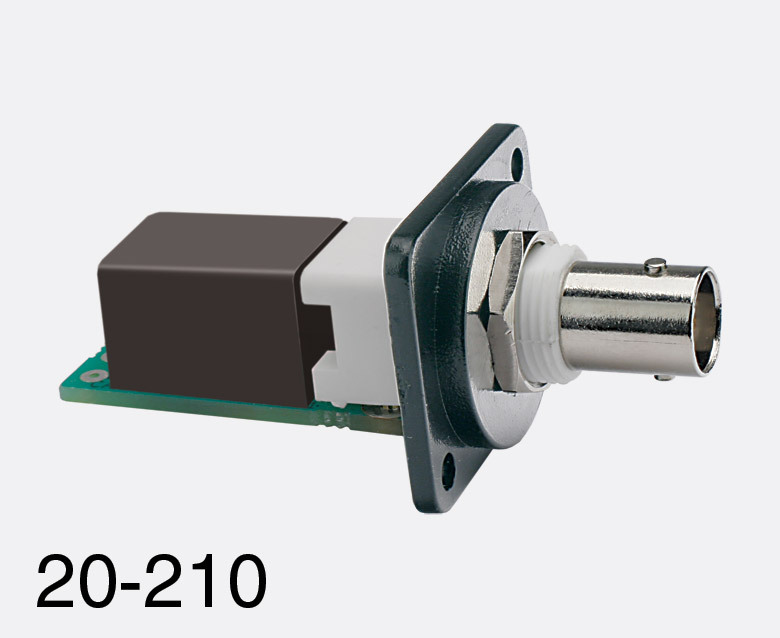 The recessed style is available in black, fitted with BNC double-sided or solder socket connectors. The front of the BNC socket is level with the front surface of the moulding giving enough room to connect and disconnect a BNC plug without the need for a fitting tool. An AES/EBU impedance converter with a BNC female connector and wire termination points, mounted on an insulated plate suitable for mounting in a Neutrik ‘D’ series cut out. Black or white un-drilled flush plates are available and may be used to blank off unused holes in panels, stageboxes etc., or may be drilled to accept a wide variety of other connectors, switches, cable grommets and indicators. Optional accessories: M3 x 10mm Pozidrive mounting-screws, pan head (Pan) or countersunk head (Csk), zinc-plated clear-passivated (ZCP), or chemical black (CH/BLK); nuts, locknuts and shakeproof washers. Other screw and nut styles and sizes are also available, see Fasteners.